Hover Craft was incredible. Thanks to all friends, family and strangers that came out and said what’s up. We met a lot of awesome vendors and shoppers. A special thanks to Sean Heiser for making a killer sign the morning of and to Sweet Water Organics and the organizers of Hover Craft for bringing it all together!! – Updated our Bookcases and Earrings pages with photos of new goods. Check ’em out. Let us know what you think! 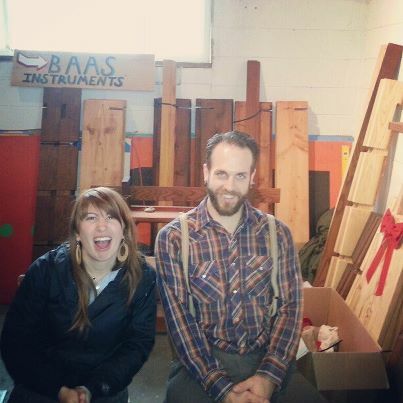 There’s a quality that sets Hover Craft apart when it comes to holiday season craft fairs: Its absolute commitment to Milwaukee. Hover Craft is dedicated to mining the treasurers that exist right here in a deep way. More than that, the organizers, Alyssa Schulte, Cortney Heimerl, Ashley Chapman and Vanessa Andrew, actively cajole creative people in to creating things for the fair. 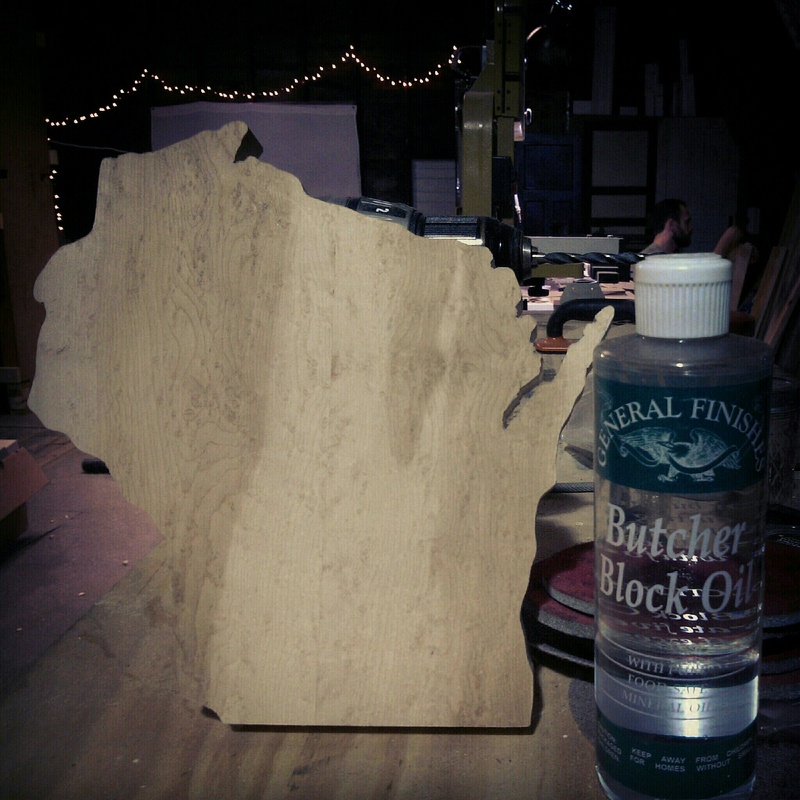 How about cutting boards in the shape of Wisconsin made by a trained luthier (guitar maker)? How about a winter Hover Craft hat in Packers green and gold commissioned by Wisconsin Knitwear? Or what about the painted plates of Tina Shinabeck, the collections manager at the Milwaukee Art Museum? The fair promises affordable, handmade gifts and a great alternative to the mall. Hover Craft happens from noon to 6 p.m. Saturday at Sweet Water Organics, 2151 S Robinson Ave. Admission is $2. 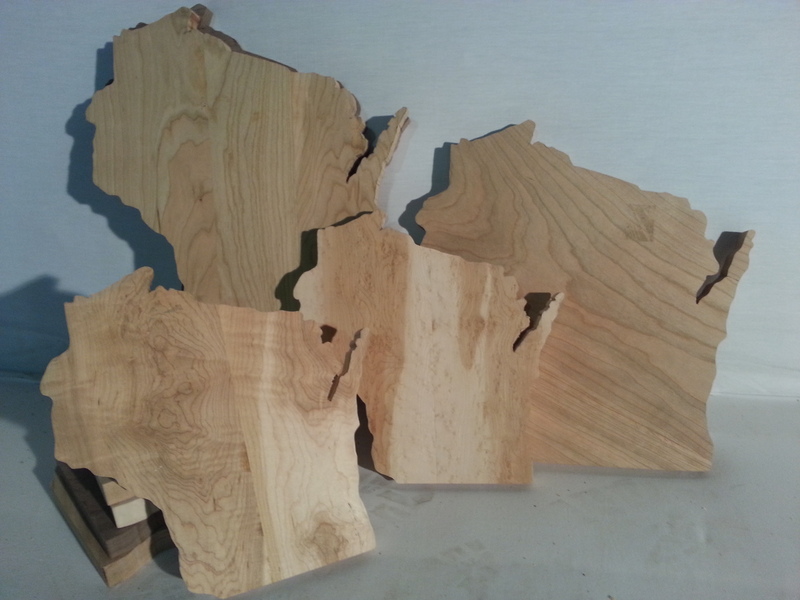 Wisconsin Cutting Boards, Order Info, Prices, Hover Craft! For those of you who live in the Milwaukee area, we would really love to see you at Hover Craft Saturday, December 1st at Sweet Water Organics. We will have plenty of cutting boards (as well as earrings, picture frames and bookshelves) for you. Plus, there will be tons of other local crafters and artists to check out and support. We are excited to announce that we are participating in Hover Craft this year! 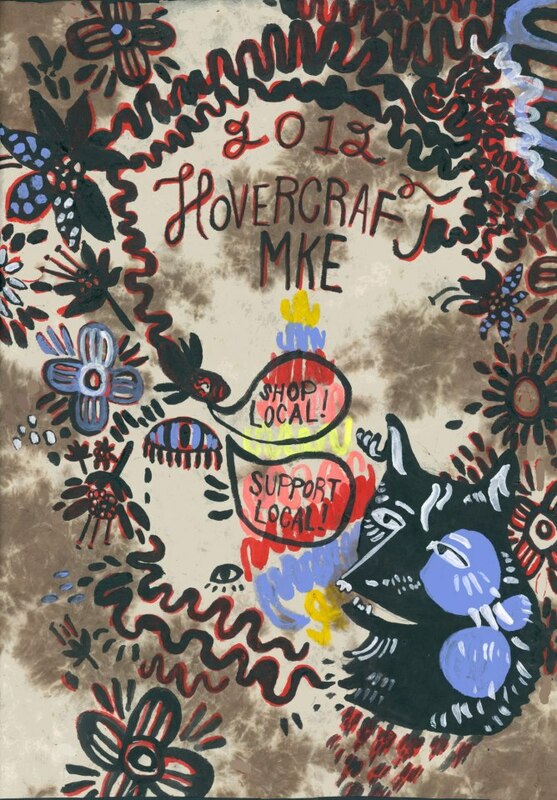 Hover Craft is an annual buy-local event that showcases the works of Milwaukee-based makers, crafters and artists. Just in time for the holdiays, we will be selling bookcases, cutting boards, earrings and other odds ‘n ends. Hover Craft is Saturday December 1st at Sweet Water Organics in Bayview, Wisconsin.